Neuropathy is a chronic, disabling and often progressive condition affecting Peripheral Nerves and is caused by many disease conditions. Devanshi Gupta, MD, FAAN, FAANEM, of North Texas Neurology & Neuropathy in Allen, Texas As a Neuromuscular specialist, clinical neurophysiologist, and expertise in electrodiagnostic medicine she has been most interested in Neuropathies. In her strive to provide the best, she is affiliated with National and International Associations and actively participates in neuropathy research. There are treatable causes of neuropathy, which must be investigated, instead of the mindset of “neuropathies are never treatable”. Like anything else in medicine, the sooner you diagnose a treatable condition, the better you may get and improve your overall quality of life. For an individualized treatment plan and compassionate care, call or schedule a consultation online. Neuropathy is a Peripheral Nerve disorder. It often causes numbness, tingling, and weakness or pain. The most common distribution noted is the “stocking-glove” pattern. Most people who develop peripheral neuropathy are over age 55, but people can be affected at any age. Peripheral neuropathy has many forms and causes. Many treatable causes are known today and significant research in the matter keeps making the diagnosis and treatment better. The most common cause is diabetes. Other common causes include alcohol abuse, poor nutrition, autoimmune processes (where the body’s own immune system attacks parts of the nerves), and genetics. Exposure to certain drugs or toxins can lead to neuropathy. Peripheral neuropathy is often first recognized because of the characteristic symptoms. A physician starts with a good history and physical examination, followed by tests for nerve damage. These predominantly electrical tests of the nerves and muscles (Electromyography and Nerve Conduction Studies) help to confirm and classify the neuropathy. More tests may be needed to determine the cause of the neuropathy. The Myth- that neuropathies are not treatable- is not true. It all depends on the cause of the disease and treating it in a timely fashion. Lifestyle interventions are recommended based on the diagnosis and treatment. Sometimes multi-modality approaches are used like therapy, nerve stimulating devices and assist devices. For people with neuropathy caused by diabetes, controlling blood sugar levels may prevent further nerve damage. This cannot always be taken for granted as there can be other causes of your Neuropathy, that are potentially treatable, that need to be ruled out. Medications that alter the immune system can be used to treat autoimmune neuropathies. Exercise may reduce nerve pain and improve overall health. Avoid excess vitamins; for example an excess of vitamin B6, which can cause neuropathy at levels of more than 100 mg daily. Autoimmune neuropathy syndromes can be rapidly disabling and are treatable. Dr. Gupta takes a patient-centered approach to determining an accurate diagnosis. 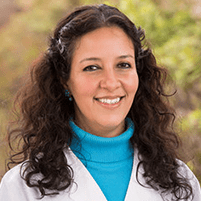 She creates the most effective treatment plan for your specific neuropathy conditions.